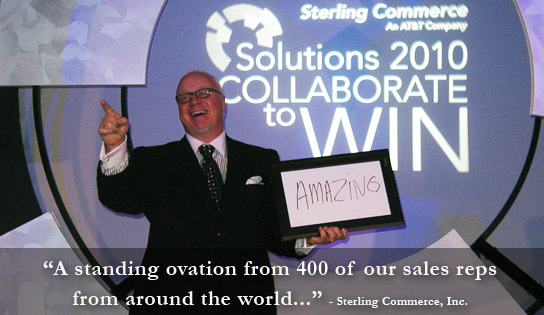 Looking to WOW your Next Group? Once you see him, you’ll never forget him! 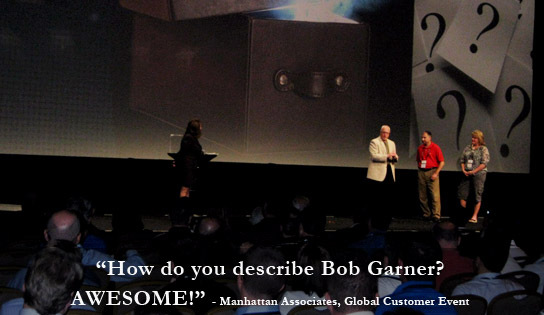 What makes Bob Garner unique and unforgettable is his ability to captivate an audience and deliver viable information in an entertaining way where people actually remember and use what was said. 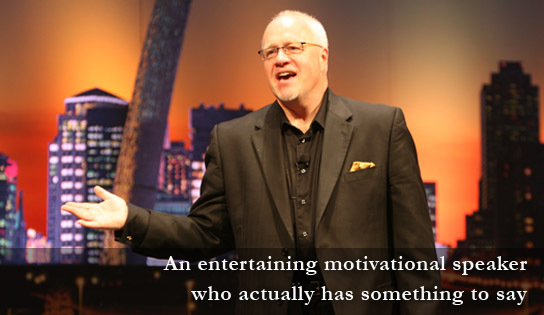 Recognized as a funny and entertaining motivational speaker who actually has something to say, what makes Bob entertaining is his ability to step beyond the usual power points and graphs that most corporate motivational speakers use to emphasize their messaging. Instead, Bob reinforces his points with astonishing and jaw-dropping demonstrations of mind reading and ESP, as well as clean humor and audience participation. 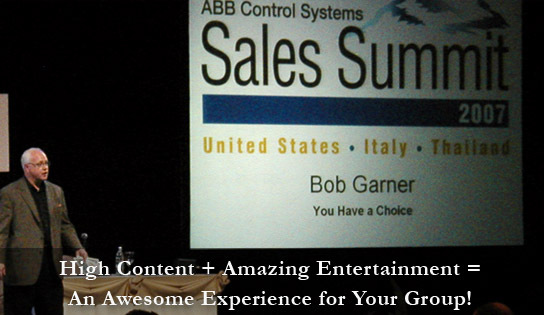 For his funny motivational keynote speaker presentations, Bob is more than just funny and entertaining - he also provides usable and rich content. In addition to being a successful author and syndicated writer, Bob is the owner of two diverse companies and has been a successful entrepreneur for nearly 30 years. 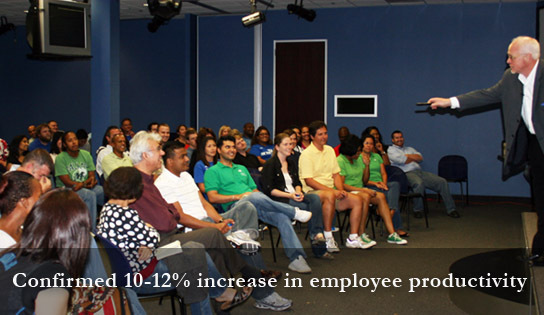 Combining that experience with an impressive track record of assisting companies to increase productivity; generate millions in sales as a corporate trainer and speaker and decades of research on personal performance, psychology, and productivity provides Bob with a firm foundation to deliver usable strategies and applicable information that can help your group meet and beat the challenges they face professionally and personally. Bob works with you to customize his presentation to include messaging you want your group to hear. His unique ability to include your messaging along with relevant content creatively reinforced with amazing entertainment is the reason why Bob is perfect as a funny motivational keynote speaker or as a kick-off or wrap-up speaker for any event and for any audience. 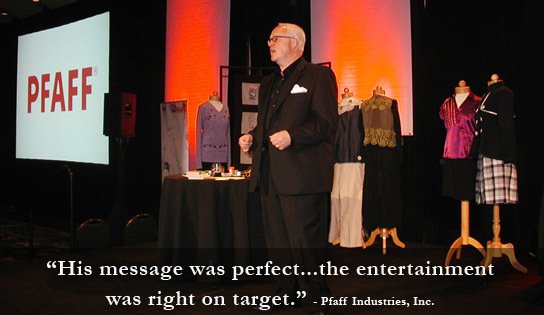 From customer events, sales meetings, employee events and everything in between - Bob will "WOW" your group. Rarely do you find one person who can captivate an audience and deliver viable information in a way that people actually remember and use what was said. That person is corporate entertainer and funny motivational speaker Bob Garner. Obviously, there are a number of ways to use Bob's services. 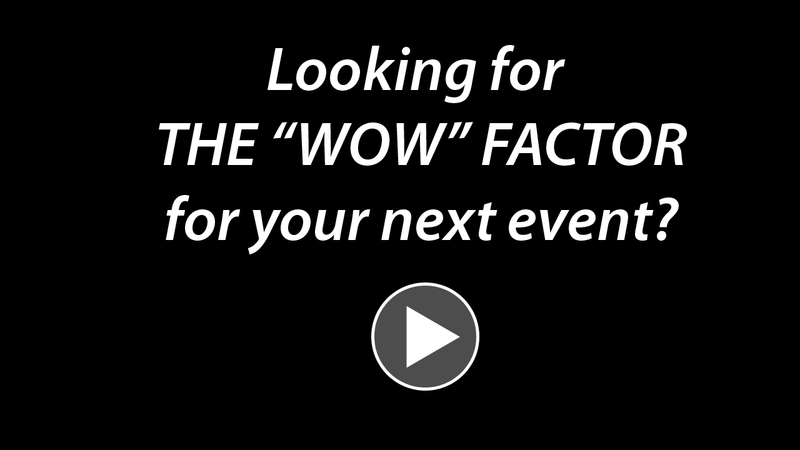 But the bottom line is this: If you want to provide the "WOW" factor at your next event, then contact one of the best entertaining motivational speakers, funny keynote motivational speakers and corporate entertainers in the business - Bob Garner! Bob Garner brought laughs, amazement, and fun to our meeting. His ability to customize his presentation and incorporate information that was vital for our group to hear was equally phenomenal. - Meeting Planner, Sterling Commerce, Inc.